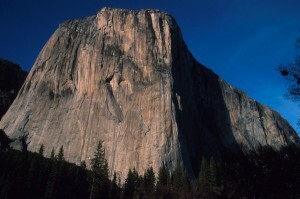 This is one of the steepest 5.7s in Yosemite and a great climb to toprope. A brief chimney leads to bulging rock with huge jugs. A 5.9 variation on the left is steep and spooky. This route stays in the shade into early afternoon. Which SuperTopo guidebooks include a topo for La Cosita, Left?